Comment: There is a wet bar in the basement of my house that was built by the previous owners. However, the shelves/cabinets underneath the bar are unfinished. I am looking to plan and budget a project to finish below the bar with rollout shelves and cabinets. Edgewater Cabinet Contractors are rated 4.72 out of 5 based on 736 reviews of 20 pros. 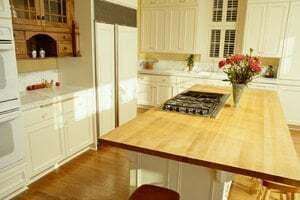 Not Looking for Cabinets Contractors in Edgewater, MD?